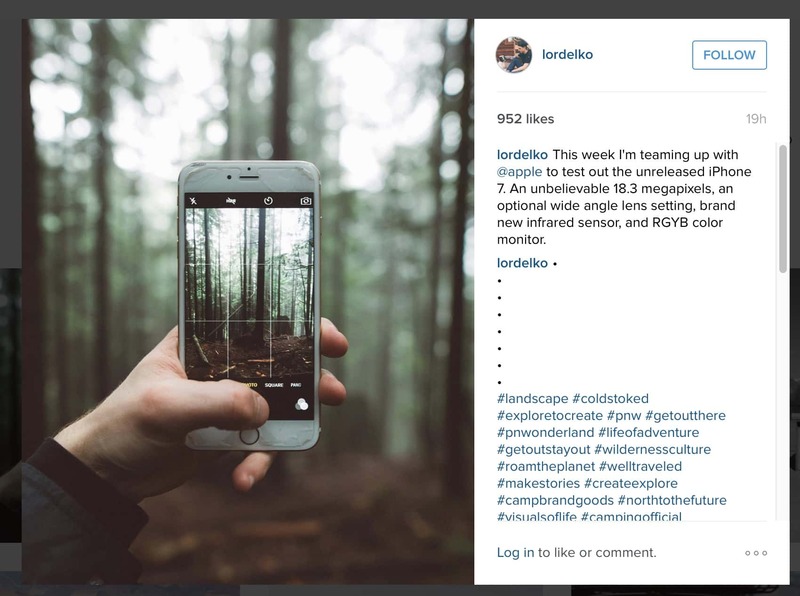 Alaskan photographer Jake Elko claims to have got hold of an iPhone 7 in order to test its photography capabilities. 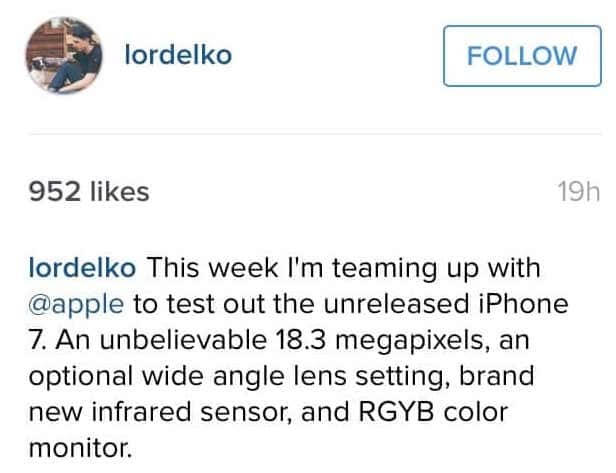 In an Instagram posting, reproduced below (screenshot here), Jake claims he’s sharing details of the alleged iPhone’s camera sensor. He appears to claim Apple’s loaned him the phone for testing purposes. He claims the device has an 18.3 megapixel sensor, optional wide-angle lens setting, infrared sensor, and RGYB color monitor. The latter in that list is somewhat confusing, and we’re not sure if Jake’s referring to the iPhone screen’s color gamut, or that of the sensor. The infrared sensor is likely to help with focussing. We’ve reached out to Jake and will update if we get any kind of reply. It might seem obvious to you but here at Mac Kung Fu we’re just not sure if this is a hoax. In the meantime, take a look for yourself. Hoax Idiot if it’s false. Double untrustworthy idiot if it’s true!